Throughout the past year, Brian has designed and printed the signs for the recycling points at the Llanfyllin Workhouse, conducted print workshops with over 500 children, set-up a new screen printing studio, designed and printed the ‘Dolydd’ currency, produced his first bronze edition, became a ‘Pioneer’ member of Culture Colony, produced works for Futile Gestures, and made ‘The Ghosts of Llanfyllin’ with his youngest son for the Ffilmic Festival (being awarded ‘Best Sound Design’). He has had an active involvement with community arts since completing his Fine Art degree at Liverpool Art School, has been a member of the Regional Print Centre (Wrexham) since 2002, and is a current member of Arts Connection. Recent projects include the highly successful “All Together Now”, which was a series of cross-community and mixed-ability workshops in Derry, Northern Ireland. This involved pupils from two schools, whose works were exhibited at the Void Gallery (Derry), four large format prints are now on permanent display at the HML building in the city. 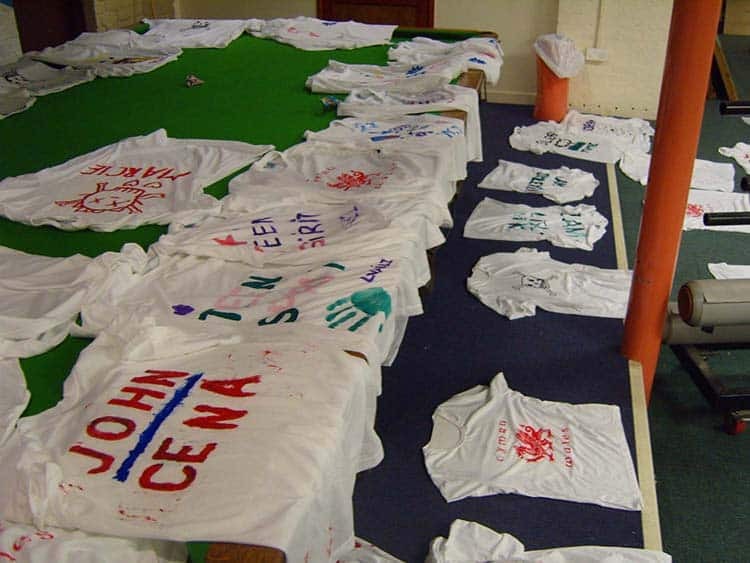 This project was undertaken in partnership with the Cresco Trust/Stravaganza, and was funded by a grant from UnLtd. 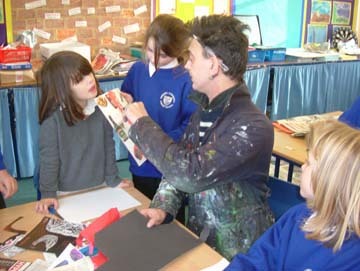 He was also the lead artist for the Regional Print Centre and Arts Connection’s collaborative ‘Exploring Cultural Identity’ project with pupils from Gwenfro CP School, Wrexham. 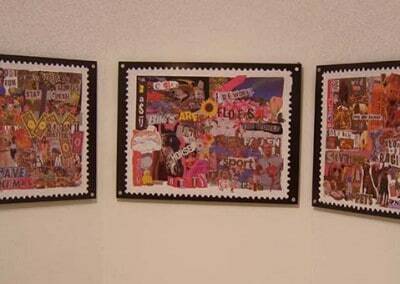 The children produced collages which were then printed as sheets of gummed and perforated postage stamps. These works were shown at the Memorial Gallery (Wrexham) during Spring 2010; three large format composite works are now on permanent display at the school. 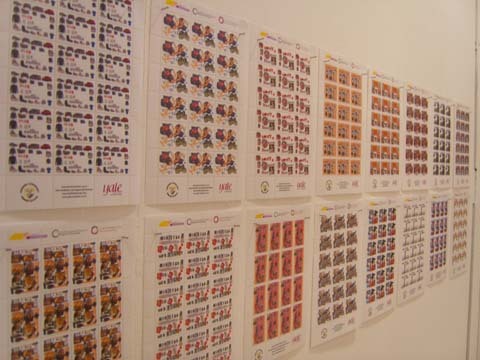 He has represented Wales in Bulgaria as a visiting artist, which was funded by Wales Art International, showed at the ‘Prints of Wales’ exhibition in Kansas City, and in Tokyo for ‘Art Machine’. His works were exhibited at the first ever Western Pop Art show at Singapore’s Collector’s Contemporary Gallery, and he was the featured artist in China’s Fantasy Art magazine. He has also contributed to numerous book and magazine projects, including a feature on ‘Welsh Money’ in the first issue of Welsh Art Now, and Grapheion magazine’s Yearbook. Over the past few years his works have shown literally alongside those of Andy Warhol, Richard Hamilton and Roy Lichtenstein to name but a few. Now living in Wales Brian Jones shows both nationally and internationally, and his works are owned by politicians, football managers, film and pop stars, plus other notables in the creative industries.